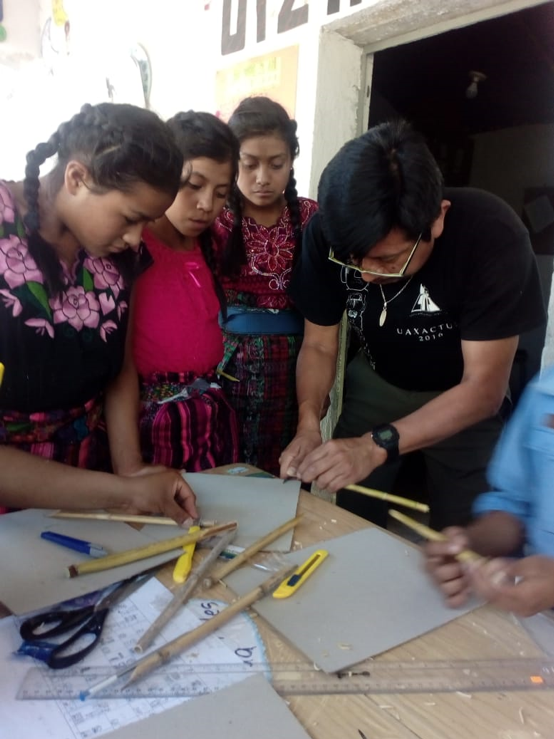 The First Workshop on the Introduction to Reading and Writing in the Maya Tz’iib’ system was held over the course of two days with a group of scholarship students and teachers of the K’amalb’e Association, of Malacatancito, Huehuetenango. 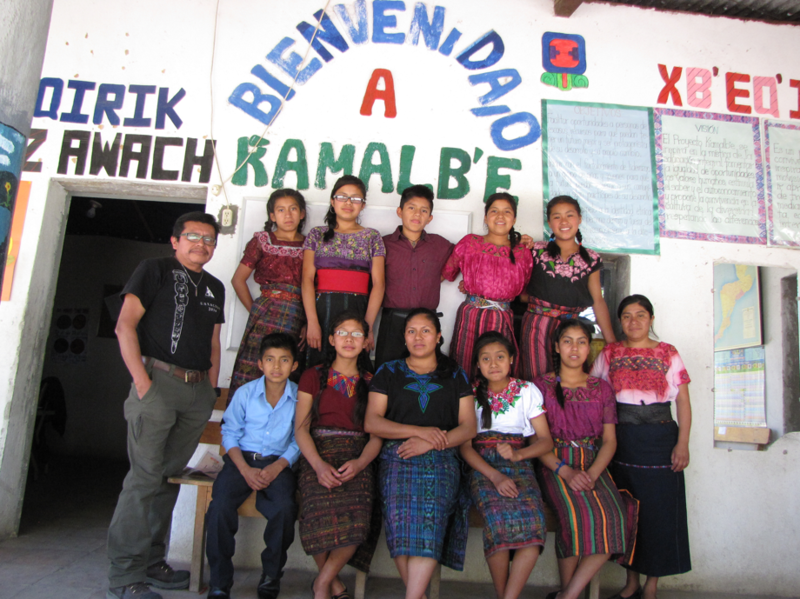 K’amalb’e is a Project that works thanks to the contribution of institutions and people at national and international levels and whose contribution is to offer scholarships (basic and diversified level) to K’iche ‘Mayan children and youth in the area of Malacatancito. One of the objectives of this project is the strengthening of the cultural identity of the K’iche’ people. Unfortunately, the communities of this town know very little or nothing about their origins, history, knowledge, etc. It is in this context that the realization of this first workshop has taken shape. The workshop was planned for 15 people, but for reasons unrelated to the activity, only 12 participated. – Adopt the basic rules of reading, writing and the basic characteristics of the Maya Tz’iib’ system. 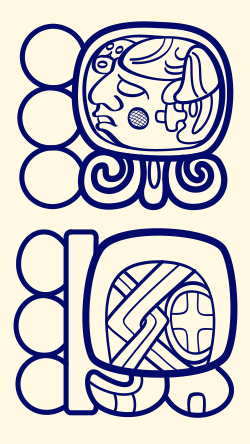 – Write words in K’iche language with the Tz’iib’ system. – Differentiate signs of the Tz’iib’ system that represent words and sounds. – Make cane brushes and paint words with the Tz’iib’ system. 1. Description: each participant was given a booklet with examples of words and texts in the Tz’iib’ system. 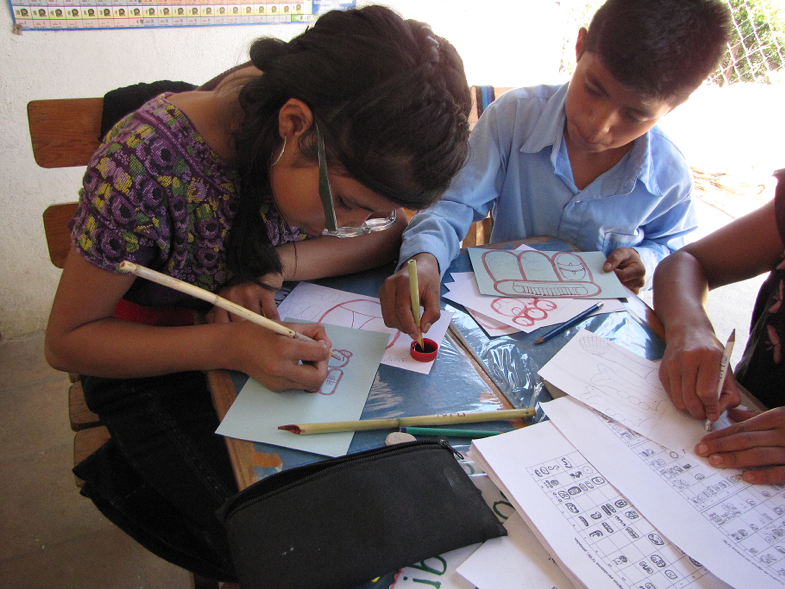 A description was made of the basic characteristics of the system, type of signs, norms of reading and writing. 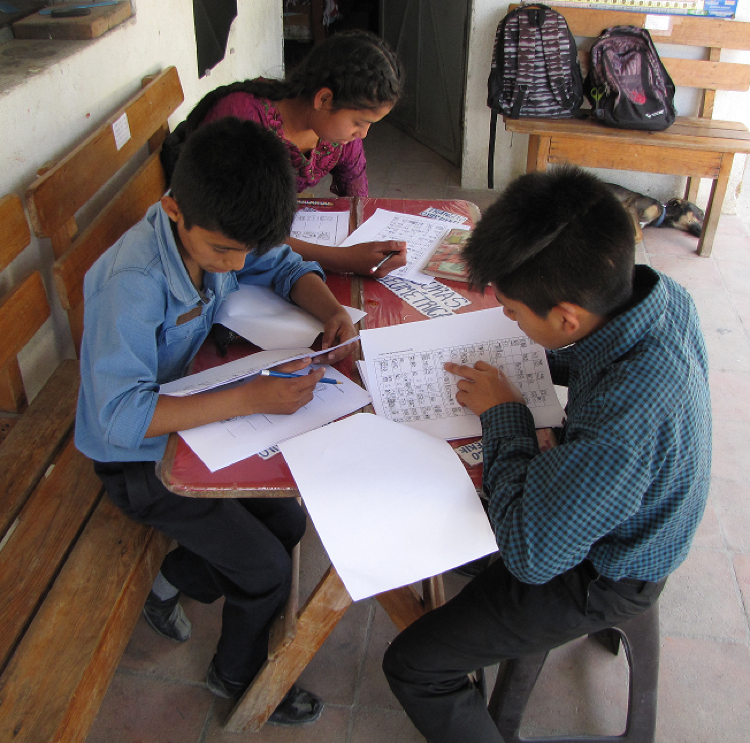 Solving workbook exercises (Photo: Aj Ch’ok. 2019). 2. Exemplification: Through constructed words and ancient texts it was shown how words and phrases are formed. 3. Exercise: once the rules of reading and writing have been learned and the characteristics of the signs of the system have been learned, the participants formed words and phrases, deciphered constructed words. b. Creation of natural ink to paint with brushes. For the members of the PLFM Team that teach Ojer Maya’ Tz’iib’ workshops, every time we improve the teaching/learning, through research and we implement strategies to improve and make more active the promotion, dissemination and development of the Tz’iib’ system. 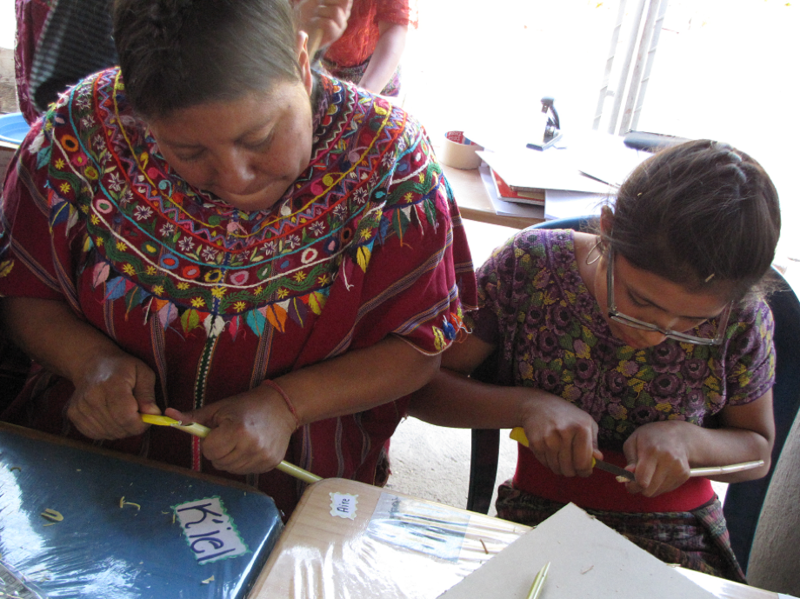 On this occasion, we taught how to prepare brushes of aj (cane), a material that is easy to acquire in Maya communities because it grows naturally in our territories. We have previously implemented the teaching of the brush with bird feathers. Aj Xol, demonstrating how to create a brush from aj (Foto: Marta Guarchaj. 2019). Hard work! (Photo: Aj Ch’ok. 2019). Tz’ib’anik, to paint/write the Tz’iib’ with a tz’ib’ab’al/brush (Photo: Aj Ch’ok. 2019). 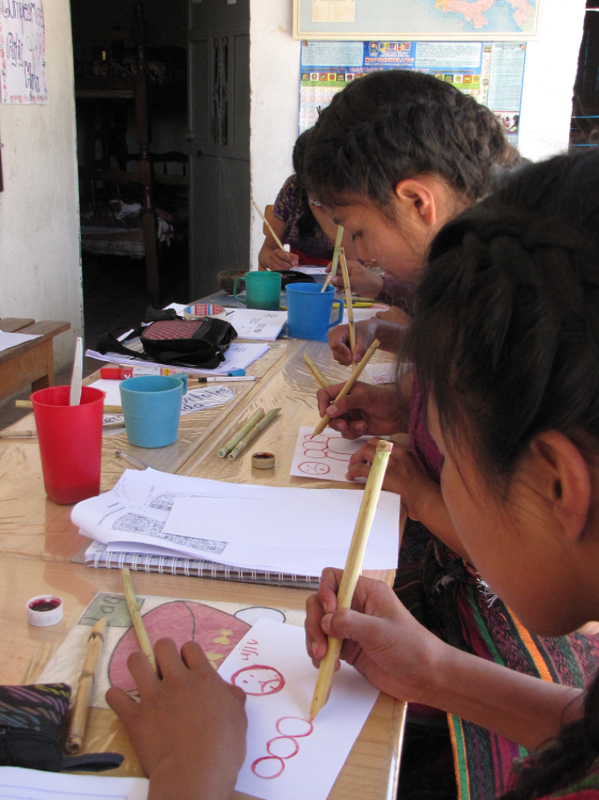 The satisfaction of having created their own brush motivates the painting of the participants (Photo: Aj Ch’ok, 2019). Following this first experience, the participants of this workshop have asked to continue this topic, because it not only strengthens their historical identity, but also helps them to know their culture and the inheritance of their Maya ancestors. Profound thanks to MAM for their contribution and to K’AMALB’E for their great project for the education of the Mayan children and youth. It is the first of future moments to share the legacy of our grandmothers, our grandfathers.